“Window Graphics” really grab attention! 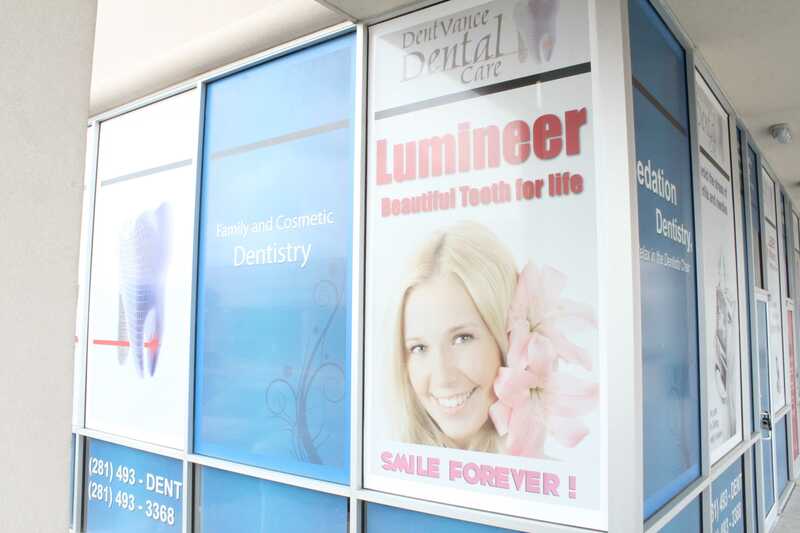 “Perforated Window Graphics” or “One-way-vision vinyl” is a versatile marketing tool that enables you to display your message on the window while you can still see through the material. 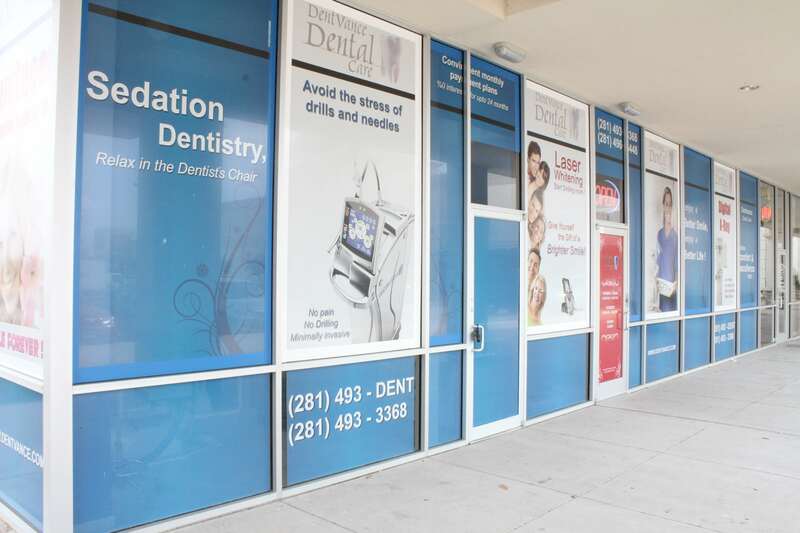 Window Graphics serve as a canvas to get your message across to passersby. 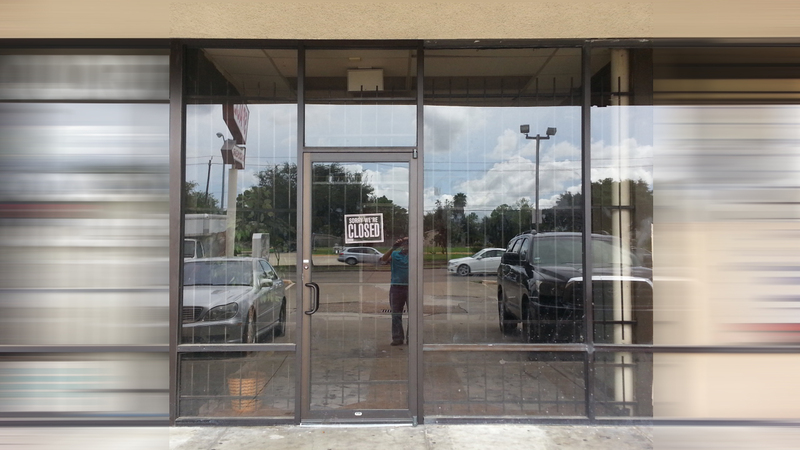 It improves the visibility of your place and attracts more walk-in customers to your business. 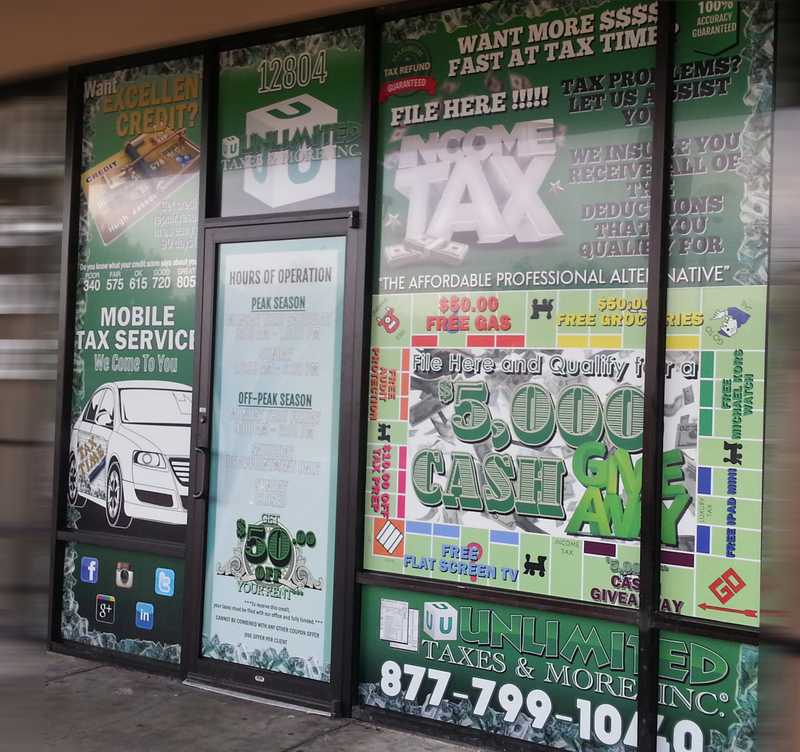 Full color prints on Perforated vinyl makes your Window Graphics stand out while you advertise your business at the best spot with the least amount of investment. 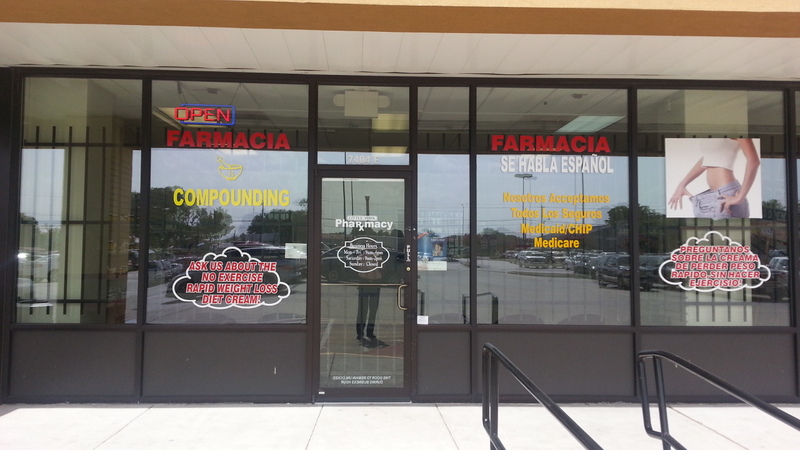 Our Perforated Vinyl print is terrific for storefront windows! 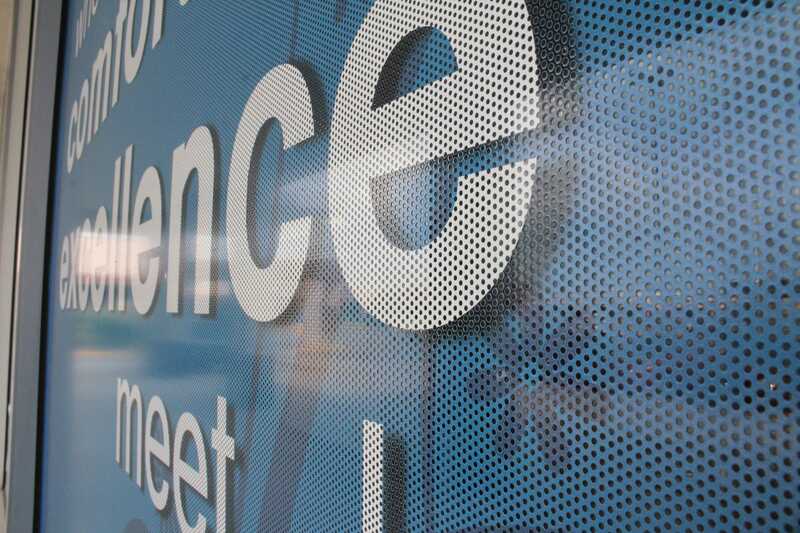 This material features a 70/30 perforation vinyl pattern, meaning that 70 percent of the film is retained and 30 percent is removed (Printed graphics sits on 70% of the material and the remaining 30% is the wholes that enables you to see through the installed graphics). This mesh pattern offers enough print surface area for enhanced image resolution and color reproduction while retaining the film’s one-way visibility. The media backing peels off to expose an adhesive back that should be applied to a smooth, clean and clear surface for optimum results. We also introduced the high-end 80/20 material to our line of products which gives an exceptional finish to the graphics, looking like an actual solid picture while you can still see-through it from inside the store. Ask us for a sample and we’ll send you one to see the material in your hands! You may also advertise on your car’s windows without blocking your vision. This perforated adhesive window vinyl has small holes which allows the driver an unobstructed view of the road while giving the people outside the car the illusion of full color graphic! Window graphics, window clings or window signs are great ways to turn unused window space into effective forms of advertising, dress up your Business, home or vehicle windows, and help reduce energy usage at the same time. 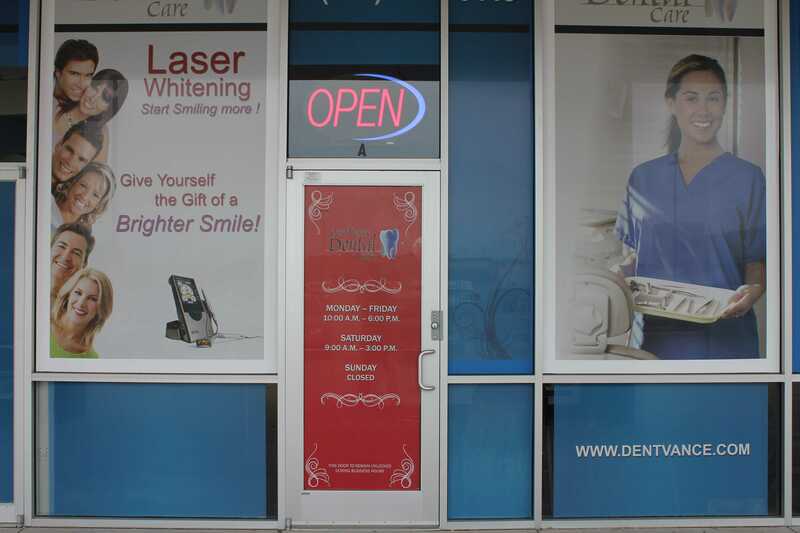 Window signs, window clings and window stickers are very common for advertising in Medical field, Dental Offices, Educational environments, Sports Gyms, fast food restaurants, retail window displays, new construction and remodeling, and all kind of businesses which have glass storefront and want to have a use for their front glass. 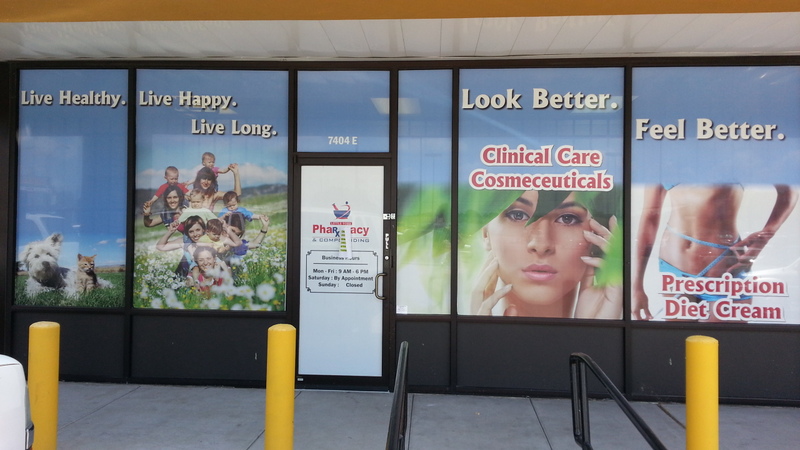 Window Graphics are also a great way to change the look of a store front in a dramatic way while reducing energy usage. The windows in below example are covered with our View-Through Adhesive Vinyl, which looks solid from the outside, but does not block your view from inside. This material blocks 70% of the sun hitting these windows, reducing the amount of air conditioning necessary to keep the interior comfortable, without blocking the view from the inside of the office. 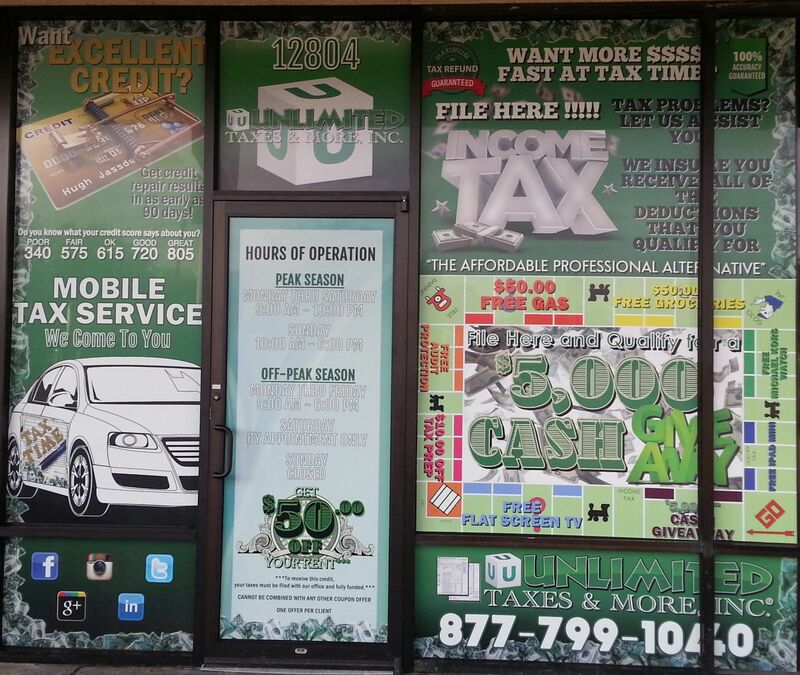 Plus, it’s a guarantee that no one passing this business fails to notice you with large window decals like these. 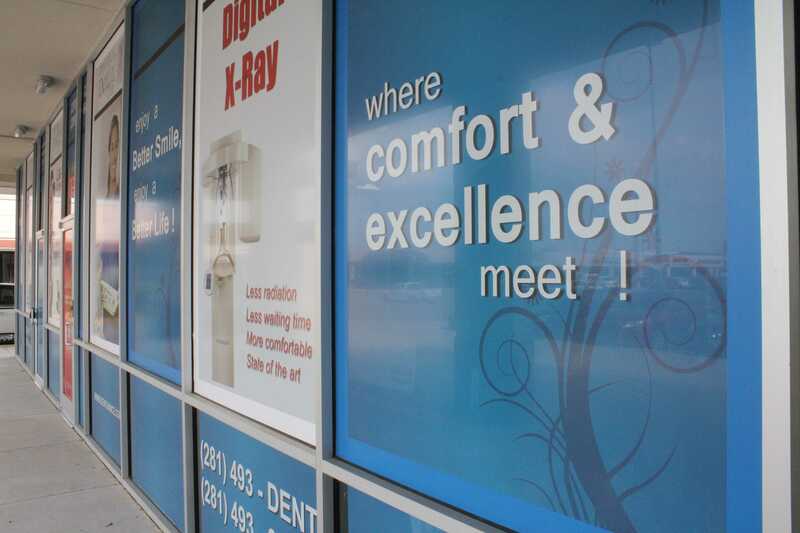 We are the pioneers in Window Graphics and Wall Graphics (Wall Wraps) with exceptional services and high-end material manufactured exclusively for our firm. 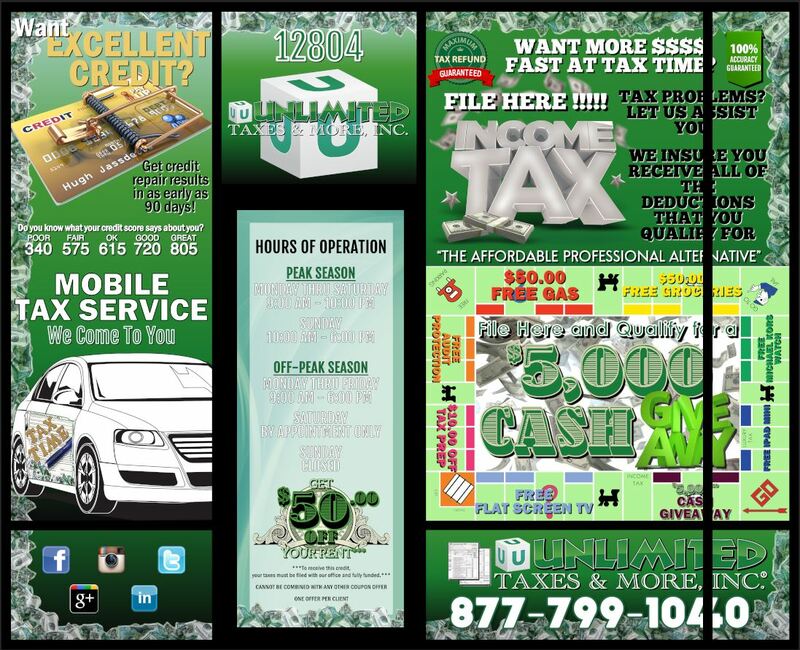 Give us a call or send us an email. We are here to serve you!